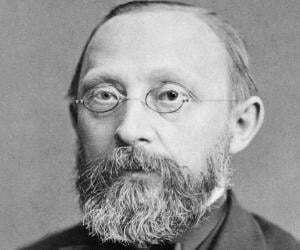 Rudolf Ludwig Carl Virchow was a German doctor, anthropologist, pathologist, biologist, writer and politician. This biography profiles his childhood, life, career, achievements and timeline. Rudolf Ludwig Carl Virchow, a prominent personality in the history of medical science was a renowned and influential German physician and pathologist of the 19th century. Also tagged as ‘the father of modern pathology’ and ‘Pope of medicine’, he made path breaking progress in pathological processes through his ‘cell theory’. He analysed and emphasised that the diseases caused in different tissues and organs were actually due to malfunctioning of individual cells. He was also an anthropologist, biologist, writer and editor of several medical journals and a statesman noted for his efforts in advancing public health. His work brought more science in the field of medicine dismissing humourism. 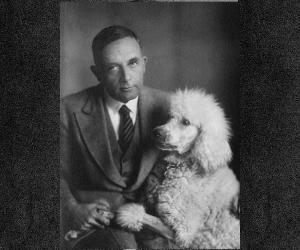 He was a pioneer in veterinary pathology and social medicine. According to him public health practices and medicine when applied politically can transform a social system positively or negatively. Thus he viewed that physicians and politicians have a moral obligation towards society. His famous report on typhus epidemic reiterated his view and stated that the epidemic can be better responded politically than medically and emphasised on improvement of social conditions. He held several important positions in universities that include the ‘University of Würzburg’ and the ‘Berlin University’. An eminent personality in politics, he was a founder member of the political party ‘Deutsche Fortschrittspartei’ through which he got elected to the ‘Prussian House of Representatives’. He won a seat in Reichstag that is the parliament. He wrote several books on medicine and gave names of several diseases such as Thrombosis, chordoma and leukemia and several scientific terms such as chromatin, osteoid and parenchyma. 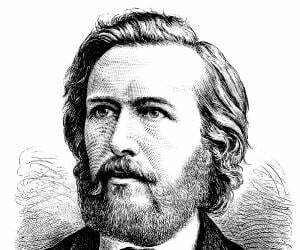 He was born on October 13, 1821, as the only child of Carl Christian Siegfried Virchow and Johanna Maria in the town of Schievelbein in Prussia (now known as Świdwin in Poland). His father was a farmer and a treasurer of Schievelbein. His did his elementary schooling in Schievelbein. He was a brilliant student and a class topper since childhood. He was fluent in many languages including German, French, Italian, English, Dutch, Greek, Latin, Arabic and Hebrew. In 1835 he joined ‘Gymnasium’, a high school in Koslinka and studied theology. He graduated from ‘Gymnasium’ in 1839 writing a dissertation, ‘A Life Full of Work and Toil is not a Burden but a Benediction’. Although he wanted to become a preacher, his weak voice led him to drop the idea and pursued career in medicine. 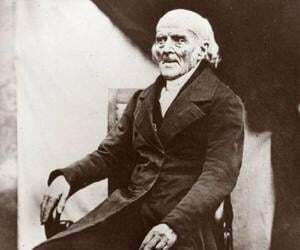 He was awarded a military fellowship in 1839 to study at Berlin’s ‘Friedrich-Wilhelms Institute’ (now ‘Humboldt University of Berlin’) and graduated in 1843 as a doctor of medicine. Soon after his graduation he worked under Johannes Peter Müller as a junior physician and later did his internship in Berlin’s ‘Charité Hospital’. In 1844, Virchow joined Robert Froriep, a prosector who was also editor of a journal that dealt specially with international work. He studied microscopy under Froriep and developed an interest in pathology. He acquired overview of progressive scientific ideas of England and France through the journals. His scientific discoveries, contributions and path breaking medical investigations were priceless. He determined that the unusual increase of white blood cells in patients was actually a blood disease and his first scientific paper dealing with pathological descriptions of the disease was published in 1845. In 1847, he first termed the disease leukämie (now known as leukemia). A systematic procedure of autopsy encompassing microscopic investigation and surgery of all parts of a dead body was first developed by him. Investigation and analysis of hair in criminal cases was first initiated by him though he later opined that evidence centred based on such analysis is inconclusive. In 1846, he got through the medical licensure examination and became hospital prosector of ‘Charité Hospital’ succeeding Robert Froriep. In 1847, he started a new journal along with friend Benno Reinhardt, the ‘Archiv für pathologische Anatomie und Physiologie, und für klinische Medizin’ (now called the ‘Virchows Archiv’). 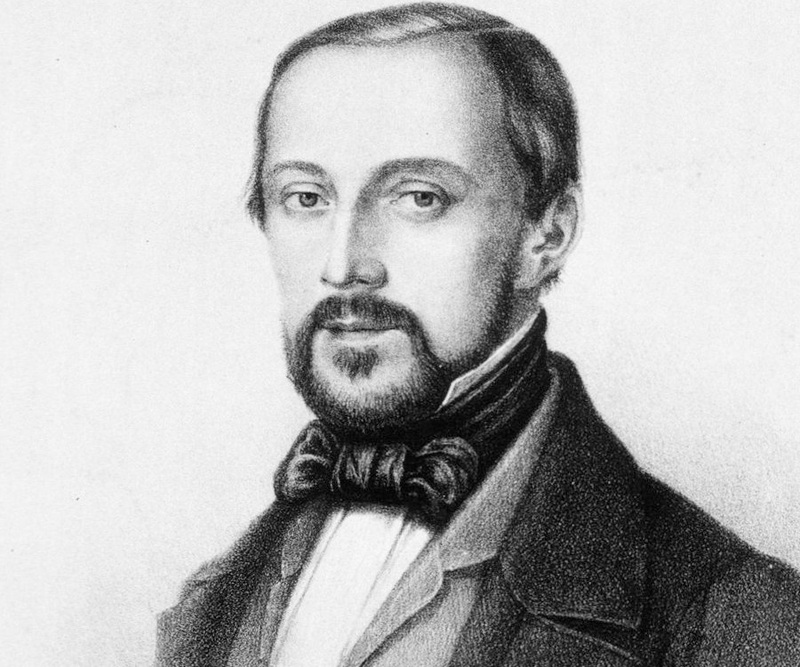 After Reinhardt died in 1852, Virchow worked alone as the editor till he was alive. In 1848, he was part of a commission to examine the typhus epidemic that claimed thousands of lives in Upper Silesia during 1847-48. He was taken aback by the extreme poverty, unhygienic environment and poor dietary condition of the peasants living there. In his famous report the ‘Report on the Typhus Epidemic in Upper Silesia’ he expressed his view and stated that the epidemic can be better responded politically than medically and emphasised on improvement of social conditions. What followed was a revolution against the government in March 1848 with Virchow playing an active role. In July, he helped in starting a weekly newspaper, ‘Die medicinische Reform ’, which advocated for social medicine but was terminated due to political pressure in June next year. An important view that most diseases were caused due to phlebitis was proved wrong by Virchow in 1848. He made path breaking progress in pathological processes through his ‘cell theory’ which he initiated in Würzburg. Though not originated from Virchow, he realised that the cell theory which postulates that a cell originates from a pre-existing cell could bring out new insights in the field of pathology. He emphasised that the diseases caused in different tissues and organs were actually due to malfunctioning of individual cells. Thus his idea ‘omnis cellula e cellula’ was not totally original but gained attention and support. On March 31, 1849 he was expelled from his office at the ‘Charité Hospital’ but reinstated after a fortnight curtailing certain benefits. Later in the year he was inducted in the first ‘Chair of Pathological Anatomy’ at the ‘University of Würzburg’ and remained in the post for seven years. He began his anthropological studies in the 1850s starting with examination of abnormal skulls. In 1856, he was appointed to the ‘Chair for Pathological Anatomy and Physiology’ in Berlin’s ‘Friedrich-Wilhelms-University’. 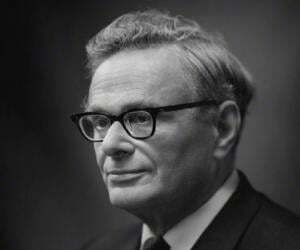 He also became the Director of ‘Institute of Pathology’ and remained in the position for twenty years. From February to April 1858, he delivered a series of twenty lectures from the main statement of his cell theory at the ‘Pathological Institute’ in Berlin. These lectures were later published in a book, ‘Die Cellularpathologie in ihrer Begründung auf physiologische und pathologische Gewebenlehre’. His other significant writings include ‘Gesammelte Abhandlungen zur wissenschaftlichen Medizin’ (1856) and ‘Gesammelte Abhandlungen ausdem Gebiet der oeffentlichen Medizin and der Seuchenlehre’ (1879). Virchow was elected to the Berlin City Council in 1859. During this time he delved into public health matters, designed sewer system of Berlin and overviewed designs of two new hospitals in the city namely the ‘Moabit’ and the ‘Friedrichshain’. He founded the progressive political party, ‘Fortschrittspartei’ and represented the party in the Prussian lower house after being elected a member in 1861. He strongly opposed Otto von Bismarck and wisely avoided the latter’s challenge to a duel in 1865. During the wars of 1866 and 1870, he actively set up military hospitals with ambulance facilities and at the time of the Franco-German War, he organised the first hospital train for the wounded. He continued with his work on anthropology including discovering pile dwellings in northern Germany in 1865 and excavating hill forts from 1870 among others. In 1869 he co-founded the ‘German Anthropological Society’ and also founded the ‘Berlin Society for Anthropology, Ethnology, and Prehistory’ and remained president of the latter till his death. He played a key role in the building of the ‘Berlin Ethnological Museum’ in 1886 and that of ‘Museum of German Folklore’ in 1888. From 1880 to 1893, he remained a member of the Reichstag and played a prominent role in the budgetary matters as the chairman of its finance committee, a position he held till his death. He married Ferdinande Rosalie Mayer in Berlin in August 1850. The couple had six children. Their three sons were Karl Virchow, born on August 1, 1851, Hans Virchow, born on September 10, 1852, went on to become an eminent anatomist and Ernst Virchow, born on January 24, 1858. The three daughters of the couple were Adele Virchow born, on October 1, 1855, Marie Virchow, born on June 29, 1866 and Hanna Elisabeth Maria Virchow, born on May 10, 1873. On September 5, 1902, he died of heart failure and was buried in ‘Alter St.-Matthäus-Kirchhof’ in Schöneberg after a state funeral, which was held on September 9 in the ‘Berlin Town Hall’.